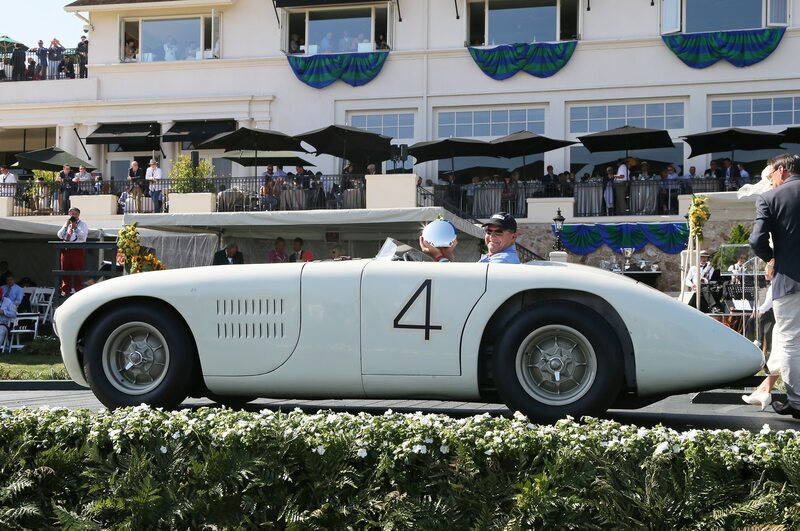 Cunningham cars honored at Pebble Beach. We’ve cheered on the Corvette C7.Rs at Le Mans, and felt American pride in their victory in 2015 in the LMGTE Pro class. It’s always good to see the red, white, and blue on the podium. But what few know is that American interest in the French round-the-clock classic largely began with the postwar cars of Briggs Cunningham. An accomplished yachtsman who won the America’s Cup in 1958, Cunningham took on the racing world with cars of American design and components, save the gearbox. Cunninghams never won at Le Mans, but they were almost always in the mix, dressed up in America’s unofficial colors, white with blue stripes. 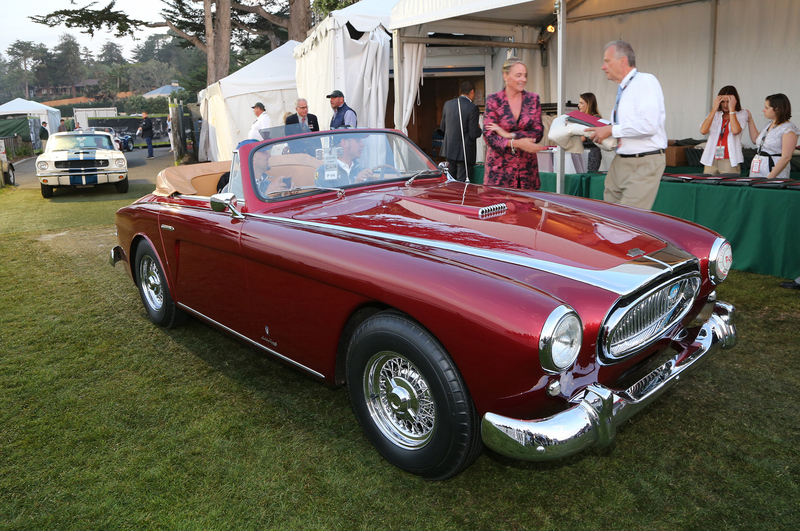 The 2015 Pebble Beach Concours d’Elegance honored Cunningham cars, including the Italian-bodied production C3s. 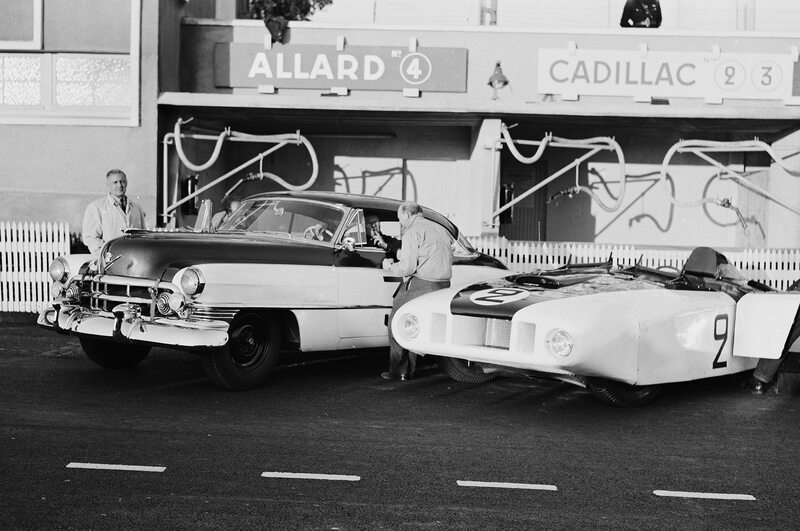 We’ve stirred up digital images of the cars seen at this year’s Pebble event with black and white film photos from back in the day. Cunningham, who passed away in 2003, is an all-American hero and a true car guy who took on the best cars the world had to offer at Le Mans with his machines. Enjoy the look at the man and his cars, a man any red-blooded American auto enthusiast should know about. 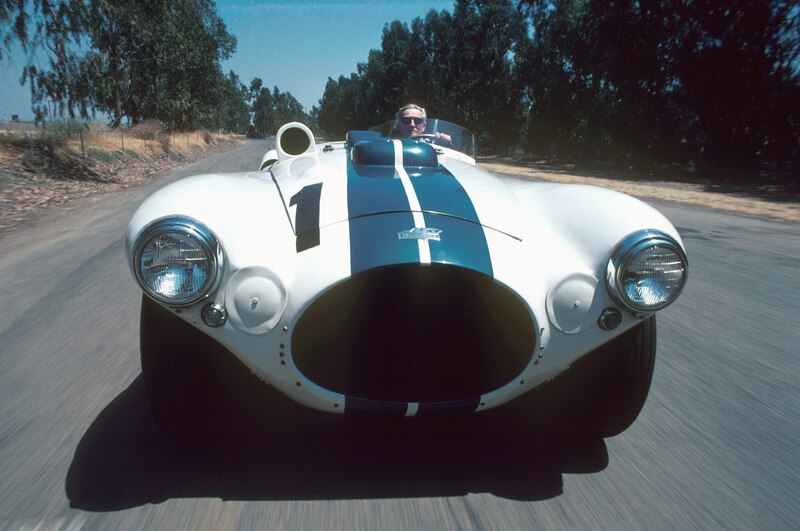 Briggs Cunningham driving one of his C-4R race cars. 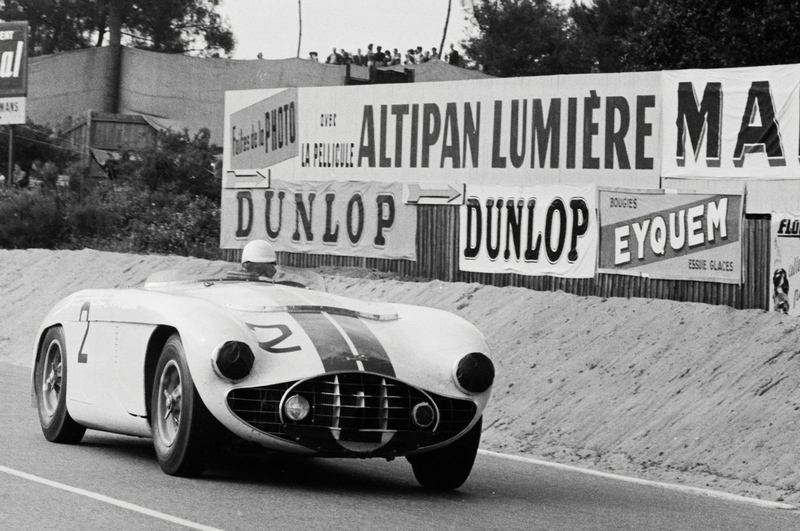 To test the waters at Le Mans, Cunningham’s first entries were in 1950, a relatively stock Cadillac Series 61 coupe and another with a body that quickly earned it the nicknamed “Le Monstre.” The coupe, dubbed the “Clumsy Pup” by the French, finished 10th, one place ahead of the monster. Encouraged by the 1950 results, Cunningham moved on to the Caddy-powered C-1. 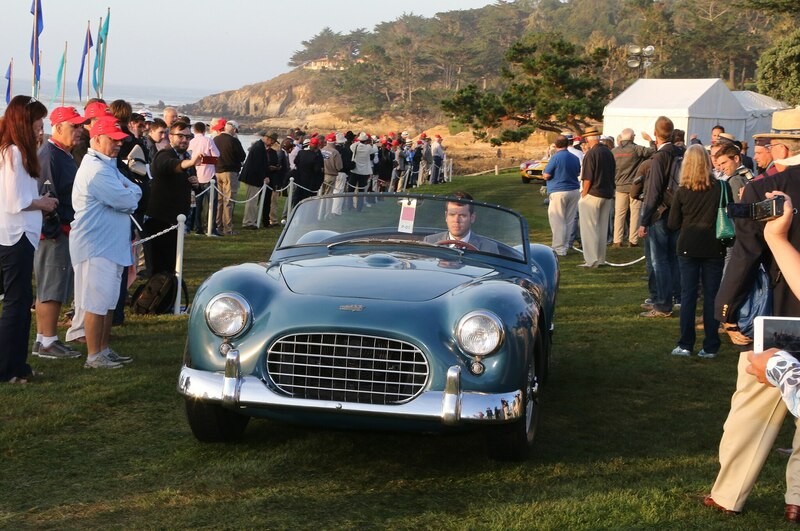 Only one was built and is seen here entering the 2015 Pebble Beach field through an alley of “Dawn Patrol” attendees. This is the C-1 in France being driven by the prominent English motor writer Lawrence Pomeroy. 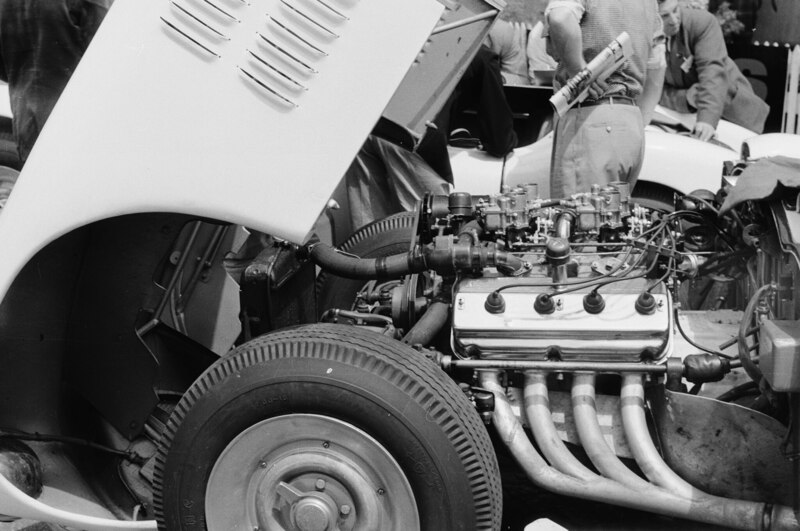 The problem with the C-1 was that Cadillac wasn’t willing to provide its 180-horsepower V-8. Luckily, Chrysler had just launched its soon-to-be-famous Hemi V-8 and that became Cunningham’s engine of choice. Next was Cunningham’s Hemi-powered 1951 C-2R and one of the team’s least successful years at Le Mans, one car finishing 18th, the other two on the DNF list. T. M. Mittler of Santa Fe, Mew Mexico, was more successful with his C-2R, winning the 2015 Concours’ Postwar Cunningham class. 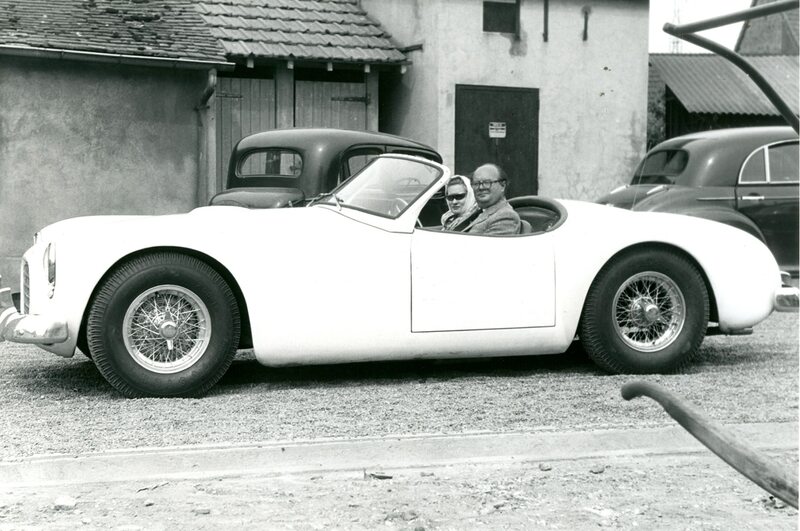 While the racing Cunninghams were almost completely All-American, the production cars, the C-3s, had Italian Vignale bodywork. Each chassis was shipped from the West Palm Beach factory to Italy to be bodied then back to Florida to be completed. 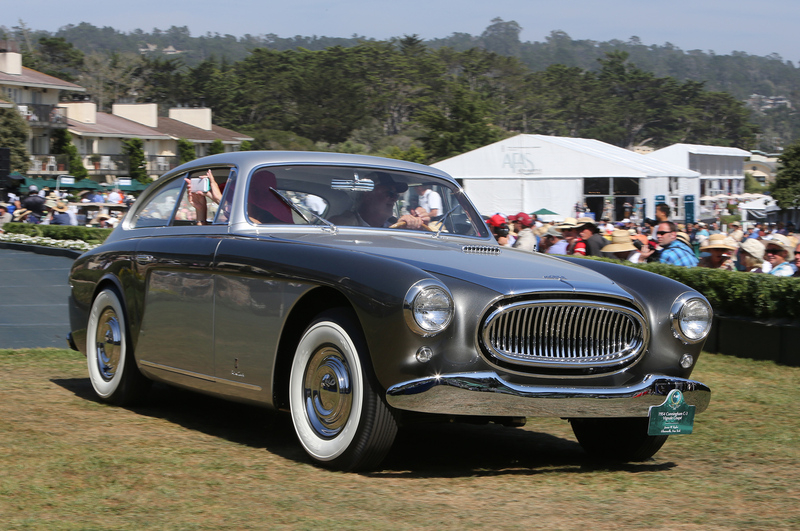 This 1954 Cunningham C-3 finished second in the Concours’ Cunningham class. Here an elegant 1953 Cunningham Vignale Convertible is checked in for the Concours early on Sunday. 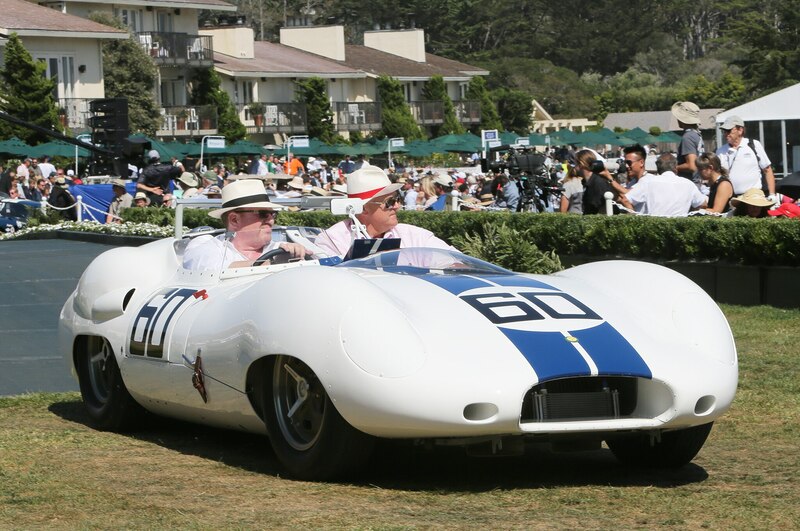 The most successful Cunningham race car was the C-4R. 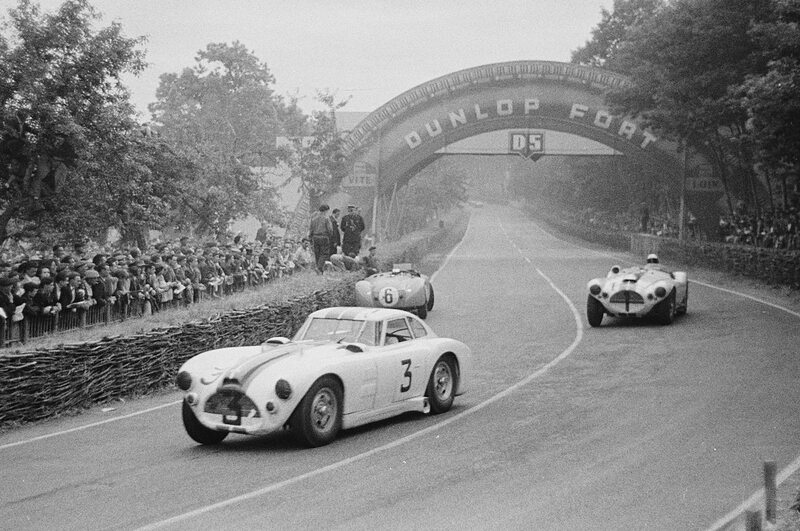 In 1952, Cunningham and Bill Spear finished fourth overall in C-4R. The next year came 7th and 10th finishes, while in 1954 the C-4Rs were third and fifth. 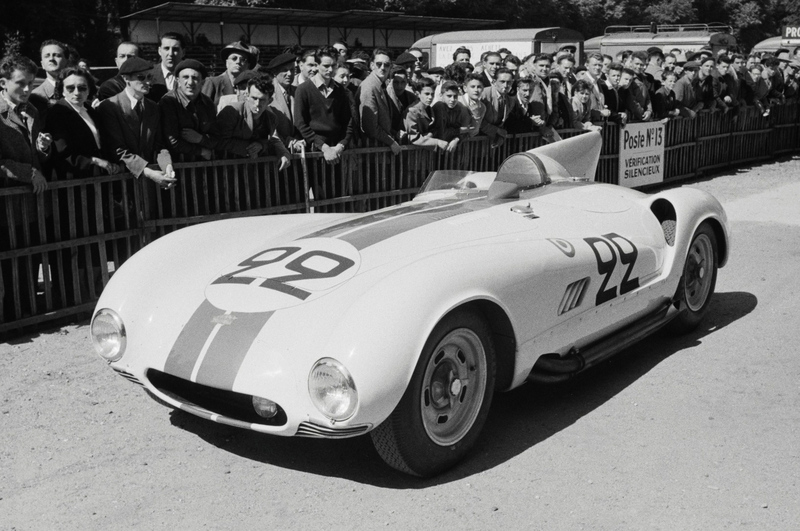 Cunningham’s third car that year was a Ferrari with water-cooled brakes…but that’s another story. This is the Cunningham C-4R from the Simeone Automotive Foundation in Philadelphia. It came away from the 2015 Concours with a third in class and the Gran Turismo Trophy. And, yes, that’s Gran Turismo as in PlayStation. 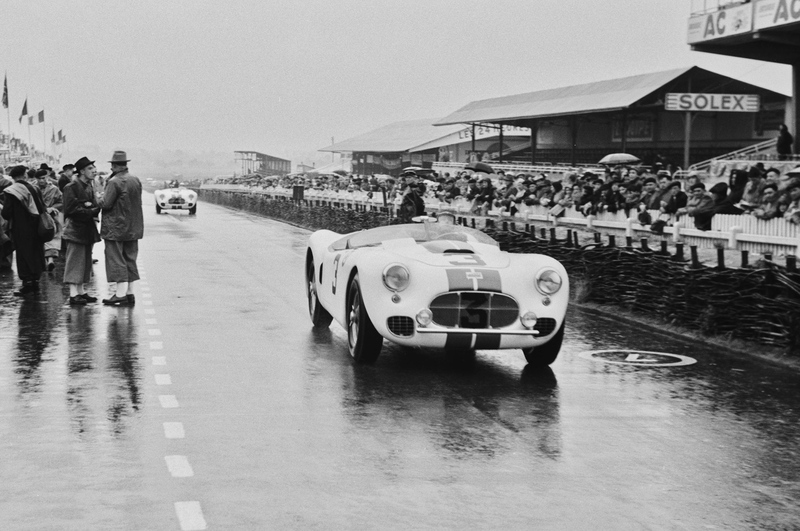 Arguably the coolest-looking Cunningham is the C-4RK coupe, seen here leading a C-4R at Le Mans. The coupe’s flat tail was designed by the famed Dr. Wunibald Kamm. Cunningham’s C-5R raced at Le Mans just once, 1953, but it finished 3rd overall and kept the Jaguar C-Types — fitted with then-new disc brakes — from coming in 1-2-3. 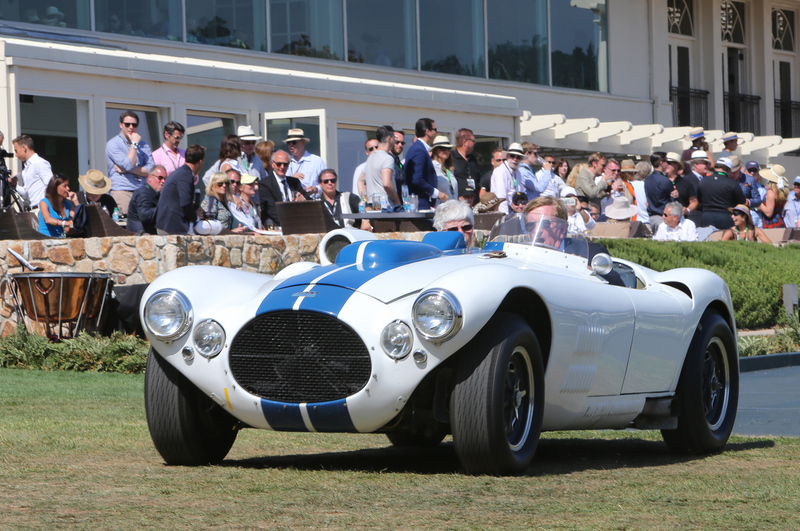 The Concours’ Briggs Cunningham trophy was won by the Cunningham C-5R from the Revs Institute for Automotive Research in Naples, Florida. Possibly the prettiest Cunningham race car was the sole C-6R built. 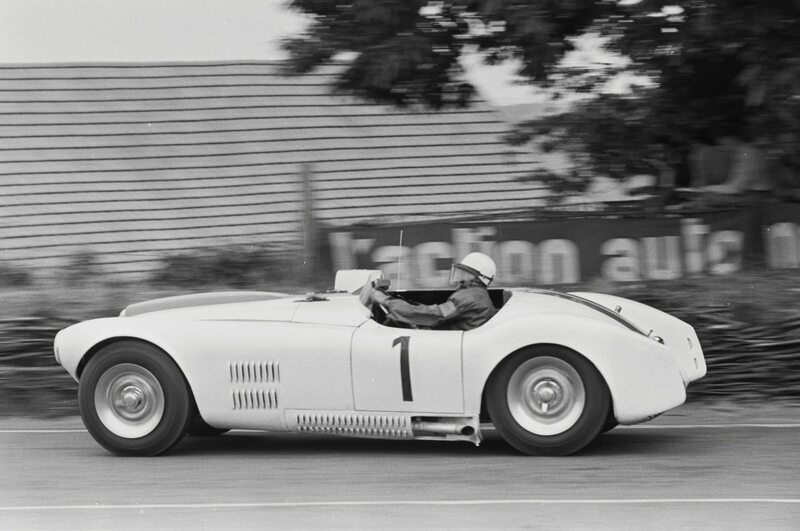 Looks like an American D-Type Jaguar, but didn’t do well at Le Mans with a DNF in its attempt in 1955. Chrysler Hemis were used in all the Cunningham racers but the C-6R. It was powered by a Meyer-Drake Offenhauser, which didn’t like running on gasoline, preferring methanol instead, as they in the Indy 500. A burned piston stopped it after 18 hours. While Briggs Cunningham stopped building cars after 1955, he wasn’t finished racing. 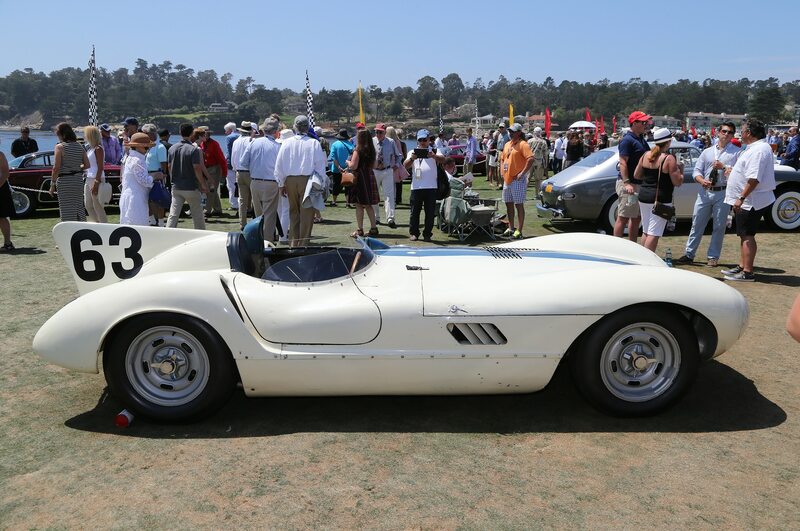 Two examples were at the 2015 Pebble Beach Concours, including this 1959 Jaguar-powered Lister Costin Roadster. 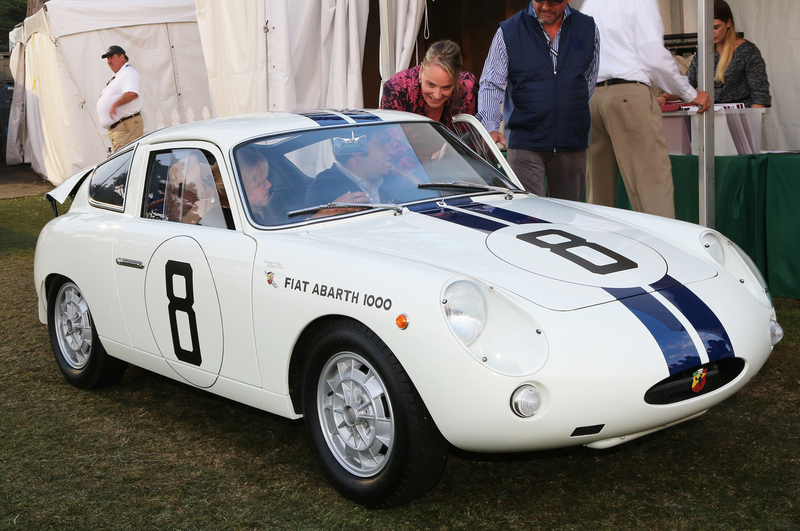 Another Cunningham race car checks in at Pebble, a tiny 1961 Fiat Abarth Coupe. Can you believe Roger Penske raced one of these for Cunningham? 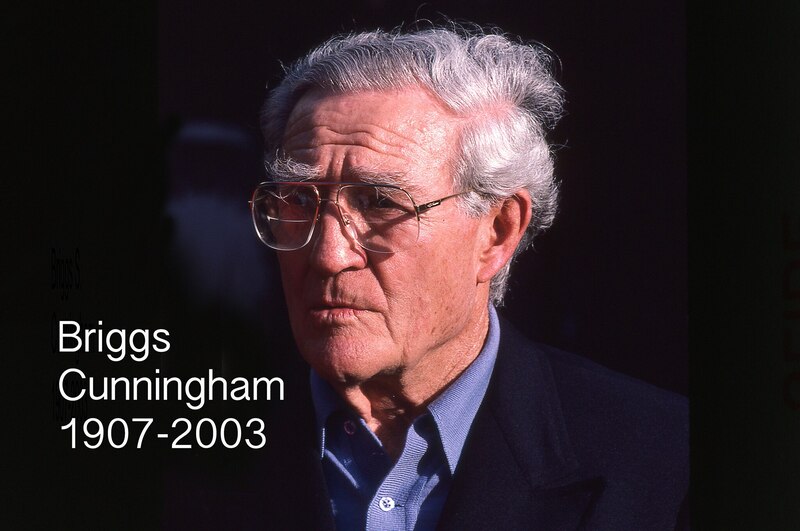 Briggs Cunningham was the epitome of a sportsman, a believer in hard work, fair play, neither trumpeting victories nor bemoaning defeats.